Fits Lie-Nielsen No. 4 or 5 Bench Planes. Lie-Nielsen chipbreakers are designed specifically for our tools. It is possible that they may fit some original Stanley or Record planes, but critical dimensions of these and other maker's tools varied over the years. 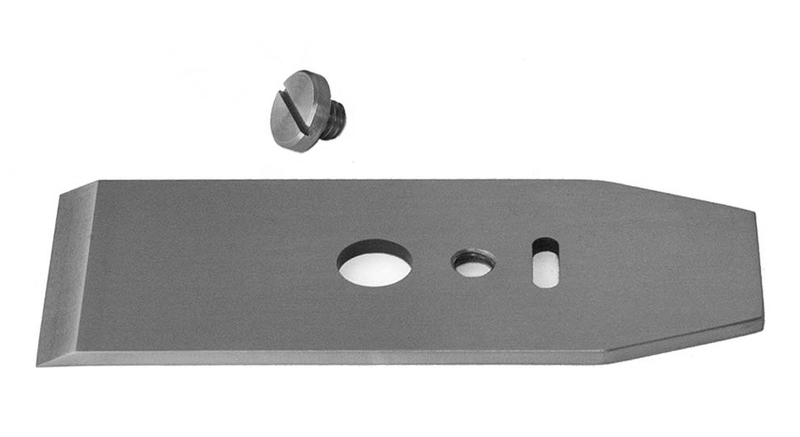 Our chipbreakers are made of High Carbon Tool Steel and are 1/8" thick with a .015" lip ground at a 1 degree angle to provide excellent contact between the leading edge of the chipbreaker and the blade. Very solid. Supplied with the chipbreaker screw.